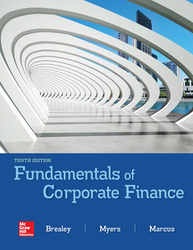 Fundamentals is an introduction to corporate finance, focusing on how companies invest in real assets, raise the money to pay for the investments, and how those assets affect the value of the firm. Includes coverage of the Tax Cuts and Jobs Act passed in December 2017 in both the text and Connect. Connect: A reliable, easy-to-use homework and learning management solution, embedding learning science and award-winning adaptive tools to improve results.